Buying gifts for the men in your life can be difficult. What do they need to keep themselves clean shaven and looking young? Well, we’re here to help you figure that out. And you may just find something on here that interests you and solves something in your life. Is there something you think every man should have in their lives? Let us know in the comments! Any one who has gone a few days without shaving and then attempted to use an electric shaver can tell you it doesn’t always end well. 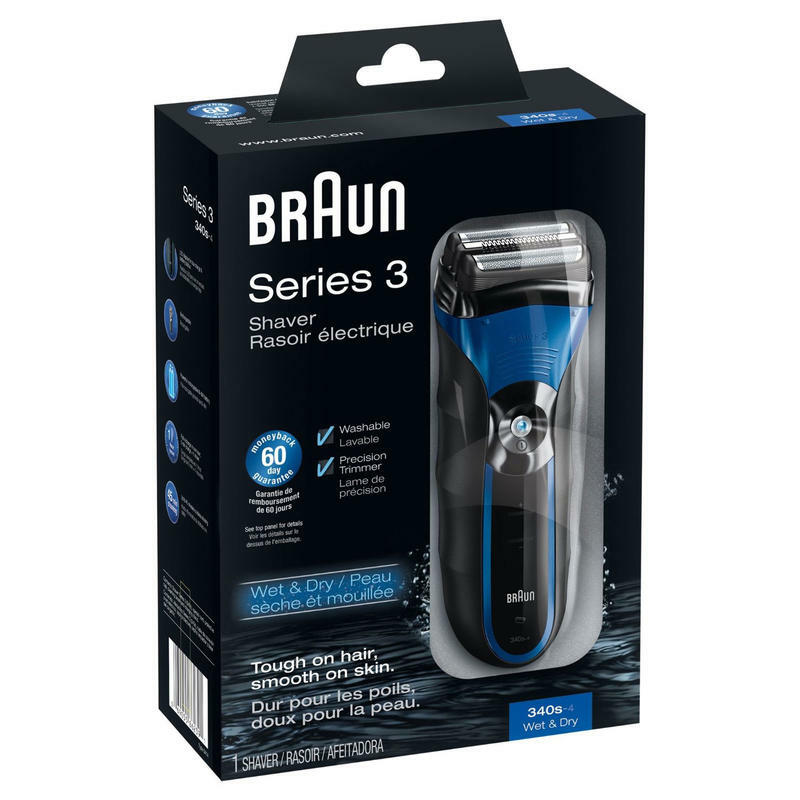 The Braun 3Series 340S-4 Wet & Dry Shaver is designed to tackle 1 day or multiple day growth, and doing it all in or out of the shower, and with or without shaving cream or gels. If you’re in the market for an electric razor, or know someone that is, this is definitely worth checking out, especially when it can be found for less than $50. We’ve all seen it in movies, but have you ever enjoyed a true shave? Not with shaving cream, but shaving soap? And applied it with a brush? Well, now here is your chance, or for you to share it with a loved one. 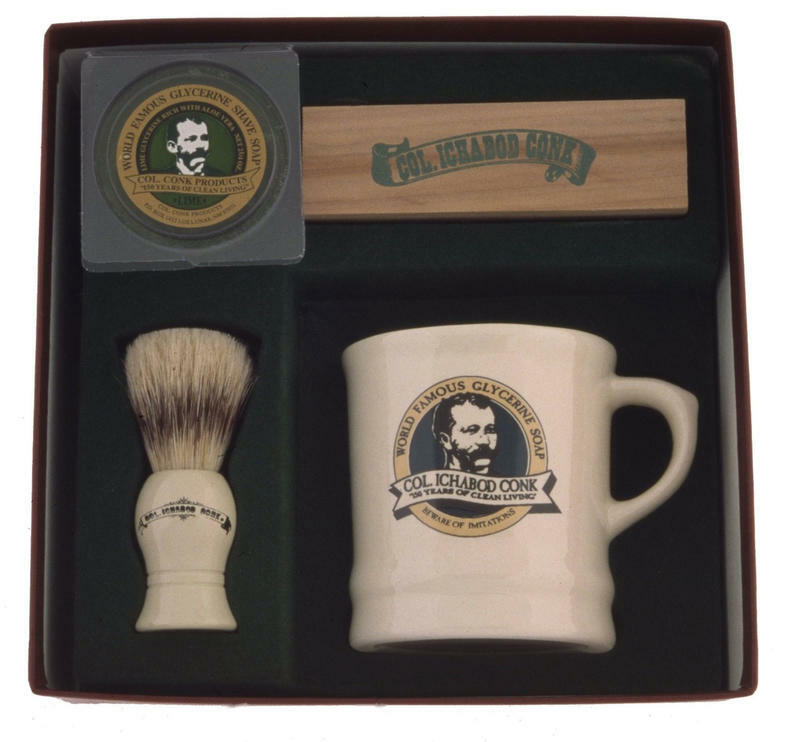 This gift set is perfect for the holidays and to give someone a taste of the old days of shaving. Remember, when you shave you are dragging metal across your face, and that’s what can lead to razor burn. 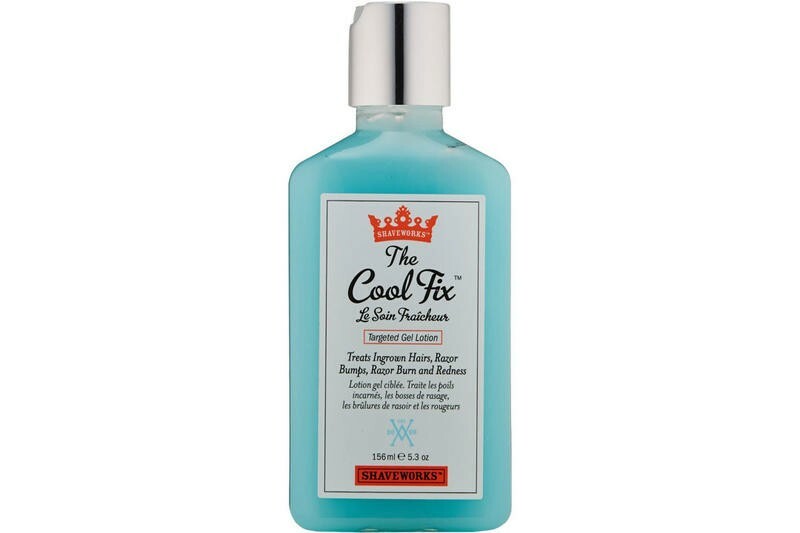 The Cool Fix will help you with ingrown hairs, razor bumps, razor burn and redness, and that will always be a welcome relief. One of the worst things you can do to your razor is to let it sit in water, or even just rest it on the blades. Considering how much razor blades cost these days, you want them to last for as long as possible. 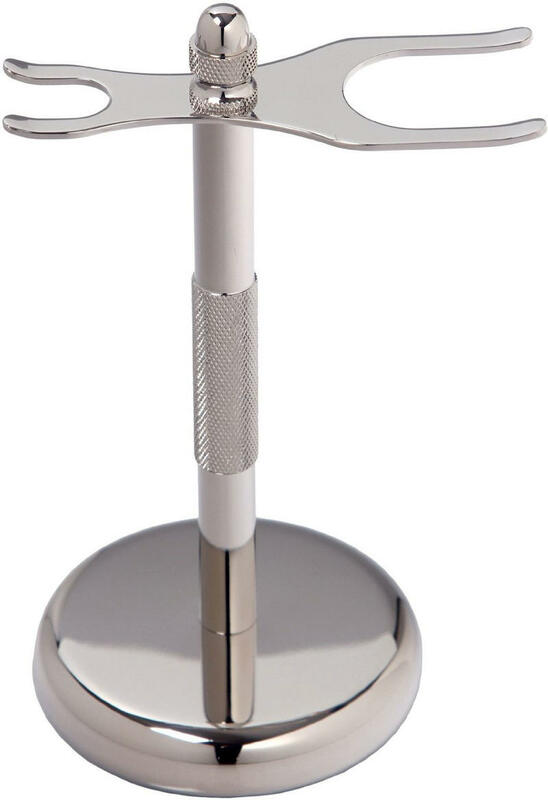 The Escali Deluxe Chrome Razor and Brush Stand can help someone do just that by giving you a place to hang a razor by its neck. It also has a slot for your shaving cream brush should you happen to use one. Most men just pick up any old shaving cream and don’t give their face another thought, but you aren’t doing your skin any favors. The Jack Black Core Collection brings together three key products for any man. You get a tube each of a daily facial cleanser and Beard Lube conditioning shave, along with a spray bottle of a face moisturizer. Trust us, your face will thank you. This set normally retails for $52, but you can find it much cheaper. 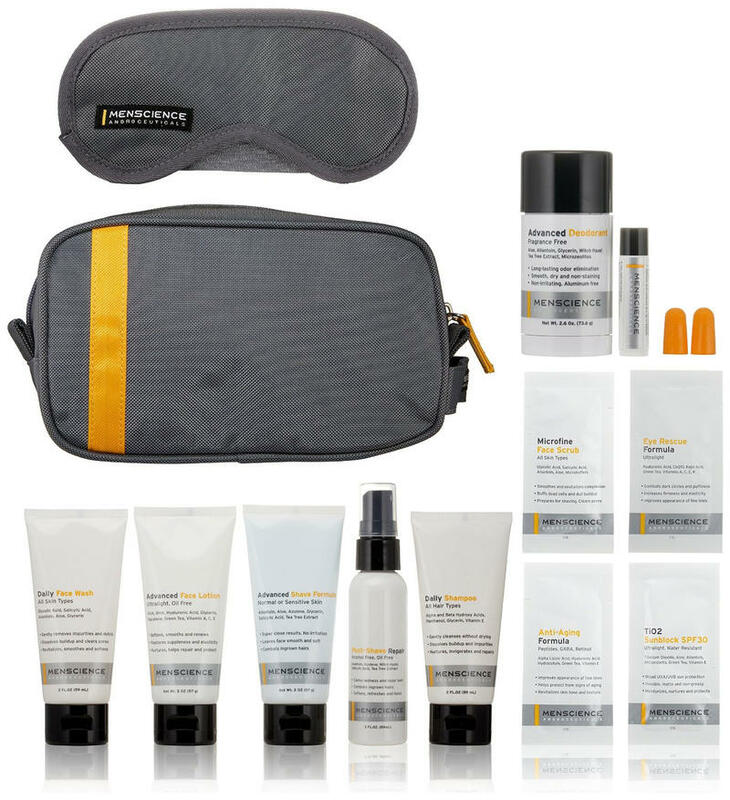 Finding travel sizes of all your essentials can be a pain, but this MenScience Androceuticals Travel Kit takes care of all of that in one shot. Not only do you get handy supplies such as shaving cream, shampoo, lip balm, deodorant and more, but you also get ear plugs and a sleep mask. Pretty much everything you need for a pleasant trip no matter what your final destination may be. Have you heard about how your grandfather, and possibly your father, shaved with double-edged safety razors? Well, at one time this was the height of shaving technology, and it has been making a comeback as of late for the closeness of the shave and the friendliness to the environment. 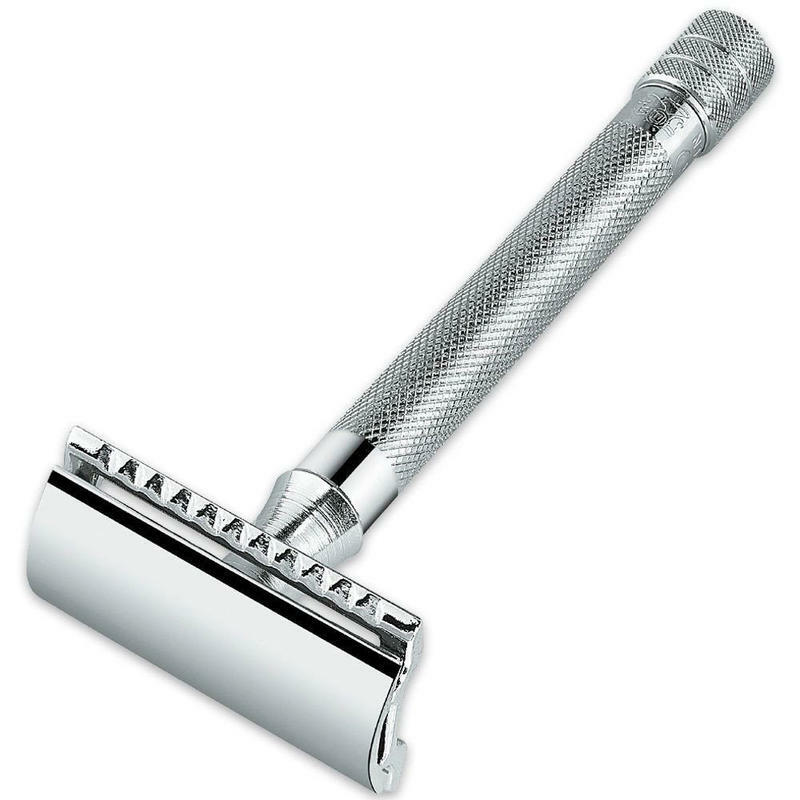 The Merkur Long Handled Safety Razor is a good place to start your journey, and while $30 may scare you at first, when you see how cheap the blades are, you’ll be glad you made the switch. 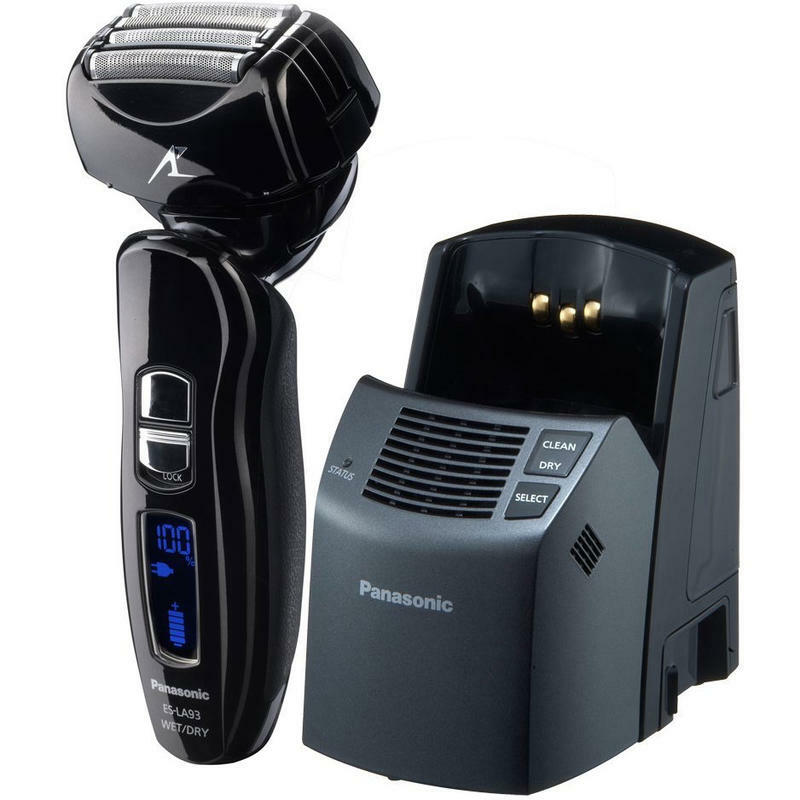 As electric shavers go, the Panasonic ES-LA93-K Arc4 Electric Shaver has to rank up there as a luxury car. This four-blade system has a pivoting head, can be used dry or wet, and has cleaning and drying functions built into its recharging stand. It can sell for as much as $400, but you can find it for more than 50 percent off online. Packing shaving supplies while traveling can be a pain, and even electrics can be a pain due to their cords. 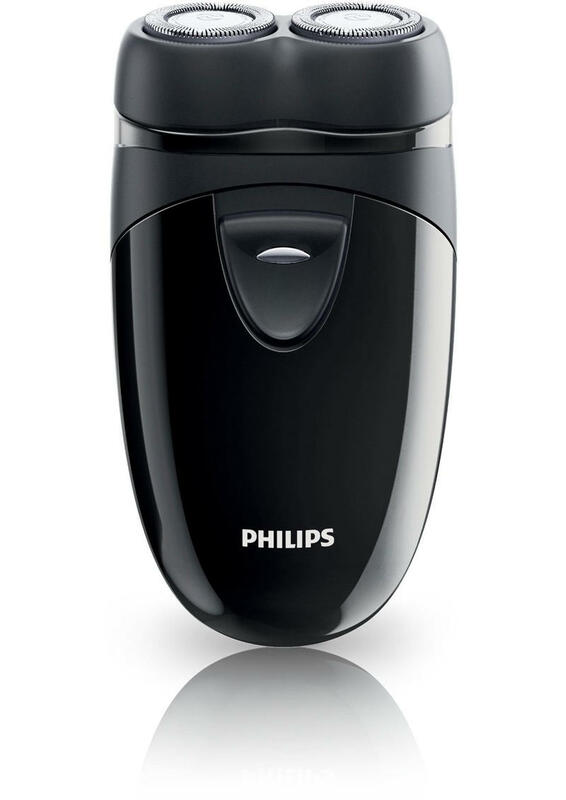 That’s where the Philips Norelco PQ208/40 Travel Electric Razor comes in handy as it not only a compact travel size, but it also runs on two AA batteries which eliminates the cord, and that can be even handier when traveling internationally. And at just $15, how can you go wrong? 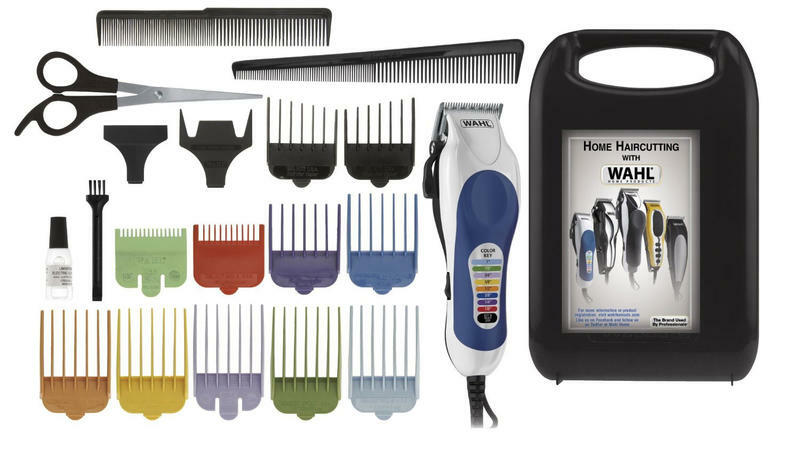 Thanks to the numerous attachments this Wahl trimmer comes with, it has a lot of uses. Need to trim your beard? It can easily handle that. Want to shave down your hair? No problem. It’s a versatile grooming tool and can’t be beat if you shop around in the same places and can find it for under $20.